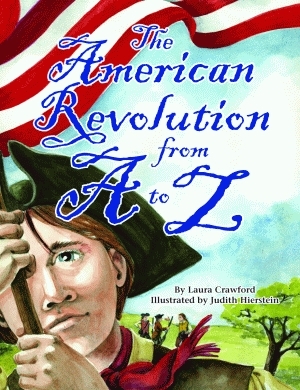 From Lexington’s famous shot heard around the world to the bravery of Lydia Darragh, who spied on British soldiers in her home, The American Revolution from A to Z brings the six-year struggle for independence to life with beautiful illustrations on every page. 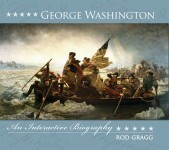 V’s Valley Forge is about the cold winter that Washington’s hungry soldiers spent there without shoes. E’s England relates the legendary Stamp Act that forced colonists to pay taxes on paper products, including newspapers and playing cards. Readers are told about Deborah Samson, who disguised herself as a man and joined the army to fight for a new country. Old Glory stands for the American flag, which had thirteen red and white stripes to represent each of the original colonies. Each letter of the alphabet is accompanied by a paragraph about the revolution and contains interesting facts that will educate readers of all ages. Laura Crawford worked as a teacher in Sleepy Hollow, Illinois. A member of the Society of Children’s Book Writers and Illustrators and the Illinois Reading Council, she holds a master’s degree in reading from Northern Illinois University. Crawford is the author of The Pilgrims’ Thanksgiving From A to Z, also published by Pelican. She lives in Geneva, Illinois. Judith Hierstein earned a bachelor of art degree in art education from the University of Iowa. A former elementary-school teacher, she is the illustrator of Jim Limber Davis: A Black Orphan in the Confederate White House, The Pilgrims’ Thanksgiving from A to Z, and the Toby Belfer Series, all published by Pelican. She lives in Tucson, Arizona.